New: Run A/B Tests on Your Website with Inspectlet! We’re excited to announce that you can now run A/B tests in Inspectlet! Create experiments using the visual editor to make changes to your original webpage and test the impact of those changes on critical performance metrics like revenue, signup rate, etc. A/B testing (also known as split testing) is a controlled experiment that compares the performance of two different versions of a webpage by showing half your visitors one version of your site, and the other half the second version. By comparing the performance (measured using Goals like signup rate or revenue) of each version of the webpage, we can empirically determine which version performs best and quantify the improvement rate. 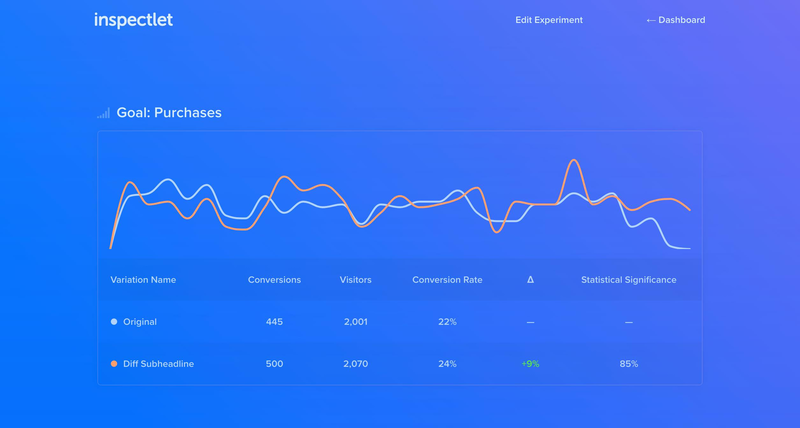 You can run unlimited experiments with your users, to get started simply head to the Dashboard and click A/B Experiments to create your first experiment. 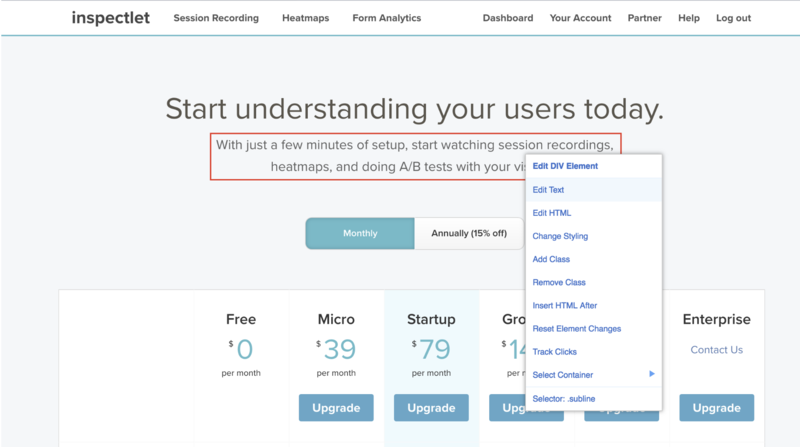 For a complete walkthrough of our new A/B testing offering read the full documentation here. As always we would love to hear any thoughts and feedback at hello@inspectlet.com.